If your tomato plants look like mine, they will be getting nice and tall, if not a bit unstable in their growbags. 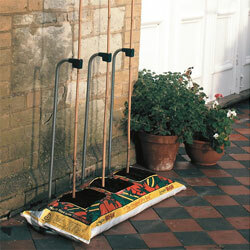 But this year I have the perfect solution with these Cane Growbag Frames. So simple yet so sturdy, they will provide all the additional support needed to keep the plants nice and stable as they begin to produce fruit. The perfect solution to a perennial problem!